Since their debut, JT & the Gunslingers haven’t looked back. These musicians individually contribute in their elite playing ability, but also collectively contribute and create within a given song that makes them a top tier group. Together they allow & encourage artistic creativity amongst themselves when paired with JT’s vocals, result in a powerful and fearless tone that could cut through razor wire. Bandleader and songwriter, former Army Ranger JT Thompson teamed up with southern Minnesota legendary guitarist Todd Owen. Their talent pool is bolstered even more by the addition of bassist James Elliott, a proven professional with appearances on Jay Leno, David Letterman & Jimmy Kimmel. Together with percussionist Jeff Stewart, they round out a rhythm section that is on par with anyone in the industry. 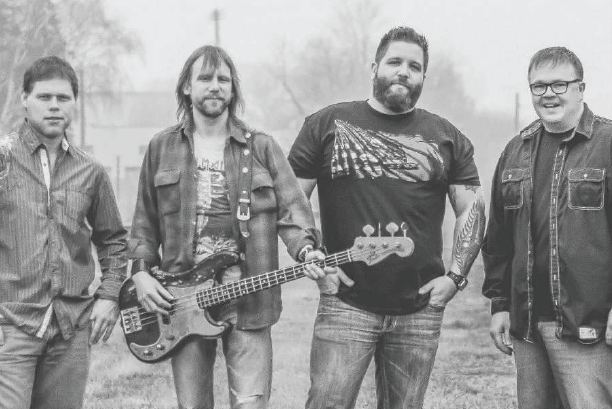 Following the release of the PASS A BEER EP, the band has gone on to open for acts such as Charlie Daniels, Chase Bryant, Montgomery Gentry, Travis Tritt, and Little Texas. Their first single, OUR TOWN (featuring Tim Lauer) have them performing top venues of Country Fest in Cadott, WI, South Goes North Music Festival, and Veteran’s Day Freedom Tour in Louisiana. JT & The Gunslingers have gone on to perform & captivate audiences not only at major festivals but local and cause-driven events such as #AutismSpeaks, #SaratogaWarhorse, #FirstHOOAHMN organizations exciting honkytonks across the Midwest/South/East Coast. Their current radio single MIDWESTERN GIRLS has risen to the Top 40 on Independent Country US Charts. They we’re named a Top 100 Country Band nationally on independent charts, as well as, Minnesota’s Top 3rd Independent artist (as of July 2018). A follow up LP (currently being recorded) includes collaboration efforts with Del Gray of Little Texas in Nashville. The phone continues to ring with opportunities on their steady rise for these stars in the making.